Bratz Princess and butterflies on the background. 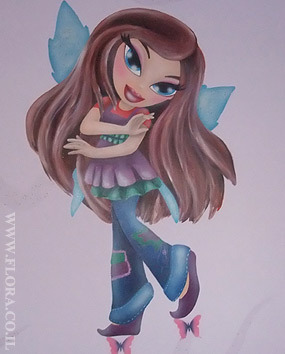 Kid`s room murals. Location: Tel-Aviv. Muralist: Flora.